An EU member state may only refuse to issue a Schengen visa on one of the grounds expressly provided for in the EU Visa Code, the Court of Justice of the European Union has recently affirmed. Nonetheless, national authorities enjoy wide discretion when determining whether any such ground for refusal applies to a particular applicant, the Court ascertained. The Schengen area is an area without internal borders where persons can freely circulate, be it for business or pleasure purposes, without being subjected to border checks. Since 1985, such an area has gradually grown so that it today encompasses almost all EU states as well as a few associated non-EU countries. The setting up of such an area, however, necessitated the introduction by Schengen states of effective controls at their common external border. Such control is exercised in accordance with common Schengen rules to ensure the security of those living or travelling in the Schengen area. Citizens from some non-EU countries are required to hold a visa when travelling to the Schengen area. A common list identifies those nationalities which must be in possession of such a visa when crossing the external borders of the Schengen area. The EU Visa Code establishes the procedures and conditions for issuing “Schengen visas”. These are uniform visas for transit through the Schengen area or for short stays of not more than three months in any six-month period in the territory of the member states forming part of Schengen territory. Once a person is in possession of such a visa issued by any one of the Schengen states, he can travel freely across the states forming part of Schengen territory. In a recent case, a German court made a preliminary reference to the CJEU requesting guidance as to which are the conditions on the basis of which a Schengen state may refuse to issue a Schengen visa. In this particular case, an Iranian national had brought an action against Germany in the German courts since the German embassy in Tehran refused to issue him a Schengen visa for the purposes of a visit to Germany. According to the embassy, there was significant doubt as to the applicant’s intention to return to Iran before the expiry of the visa applied for. In its judgment, the Court made it clear that the authorities of a member state cannot arbitrarily refuse to issue a Schengen visa to an applicant. Each State must rely on one of the specific grounds for refusal listed in the Visa Code to refuse any application for a visa. This code also provides that the reasons for the decision to refuse a visa must be stated using the standard form set out in an annex to the same code. The Court observed that such a system ensures harmonised conditions for the issue of uniform visas and rules out any differences between member states as regards the grounds for refusal. The implementation of additional grounds for the refusal of a visa by any one member state would encourage visa applicants to address their applications to other member states and would hence encourage ‘visa shopping’. This is exactly what the Visa Code strives to avoid. The Court continued to state, however, that when examining a visa application, national authorities do enjoy wide discretion in discerning the conditions for the application of such grounds for refusal. They also enjoy wide discretion in assessing the relevant facts in order to ascertain whether any one such ground can be applied to a particular applicant. Such an assessment entails taking into consideration the circumstances of each particular case such as the personality of the applicant, the political, social and economic situation of his/her country of residence and others. The Court appreciated that such considerations often involve predicting the foreseeable conduct of an applicant. The Court noted that one of the grounds for refusal provided for by the Visa Code states that a visa is to be refused where there is reasonable doubt as to an applicant’s intention to leave the territory of the member states before the expiry of the visa applied for. It explained that in such cases the competent authorities need not be certain as to the intention of the applicant but it is sufficient if they determine that there is a reasonable doubt as regards to such an intention. In coming to a decision, the authorities must take into consideration the individual circumstances of each case besides the general situation in the applicant’s country of residence. The Court emphasised that particular consideration must be given to the risk of illegal immigration. If such a risk is identified, the authorities must refuse to grant a visa since a reasonable doubt as regards the applicant’s intention to leave the territory of the member states before the expiry of the visa may be said to exist. 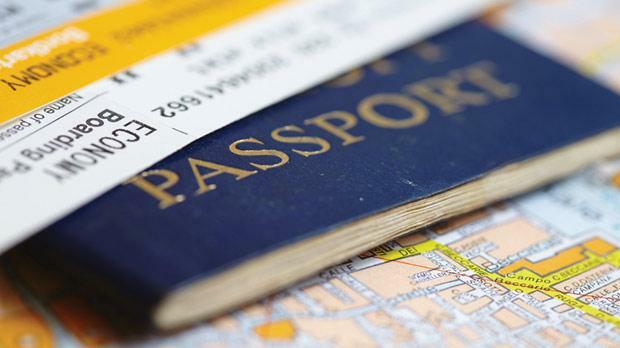 Visas are an important way of ensuring legal travel within the Schengen area. As this decision goes to show, the individual Schengen States do enjoy an amount of discretion when issuing such visas – a discretion which they need to use wisely in order not to unduly hamper the entry into Schengen territory of third country nationals who seek to enter the territory for perfectly legitimate purposes while at the same time ensuring the wellbeing of all Schengen citizens.